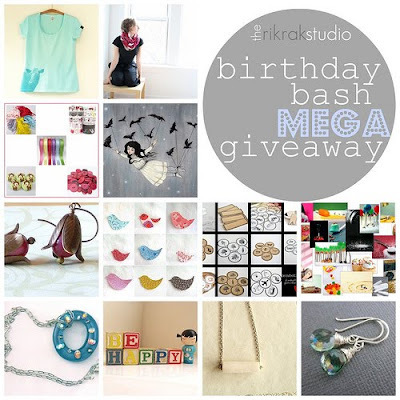 Three lucky readers of RikRak Studio will take home prizes valued at $300! Winners will be chosen through random.org on September 15th @ 11pm EST. The first number drawn will win prize A. The 2nd number drawn will win prize B. The 3rd number drawn will win prize C.